T he thought of being misted with landfill leachate gives new meaning to the term “eau de toilette.” But that’s what could be legalized under the “Allow Aerosolization of Leachate” bill, HB 576. Earlier this week, NCPW reported on the measure, which would allow landfill owners to spray liquid from these lined dumps into the air — without a state permit. In fact, the NC Department of Environmental Quality would be required to allow this aerosolization of garbage juice. The science behind the technology is absent, as is the legislature’s presentation of the safety of the leachate that is sprayed. But retired scientist Edo McGowan has studied such phenomena. He specializes in environmental medicine, emerging infectious disease and medical geo-hydrology — the study of human made wastes, their interactions with water and their subsequent health impacts. McGowan, who has published aerosol studies in peer-reviewed journals such as the Journal of Environmental Health, calculated how far a particle could travel based on its size and on wind conditions. First, to give you a sense of the size of a micron, a human hair is 75 microns wide. He calculated that based on a 5 mph wind, a 20-micron particle — about a quarter of the width of a human hair — could travel about a third of a mile before landing. An even smaller particle, about 10 microns, would go for about a mile and a half. Gustier winds would blow the particles farther. Topography — open, flat areas versus hilly ones — would also affect the route and distance. In sum, depending on their size and the wind speed, microscopic particles of pathogens and toxins in the leachate could travel downwind as far as five miles before settling on the ground, your picnic table — or in your lungs. 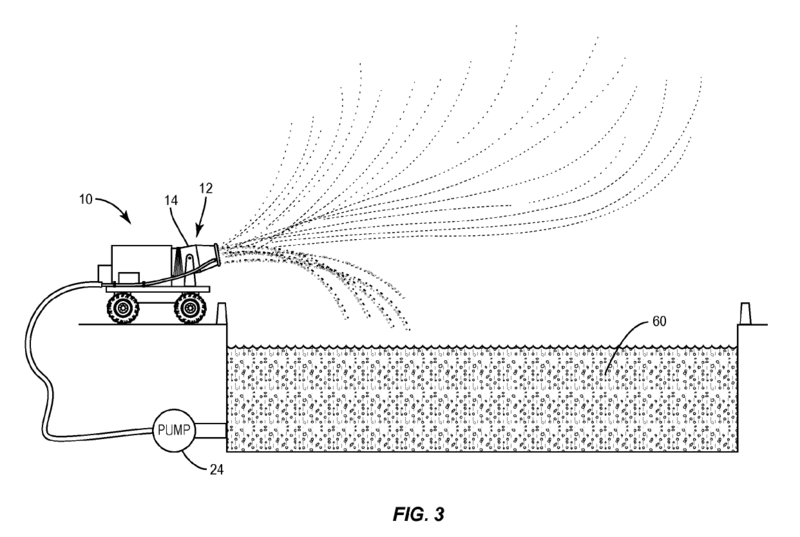 There was a brief discussion of microns and distance at the House Agriculture and Environment Committee, but the patent for the leachate sprayer doesn’t address the size of the particles that would fly through the air. 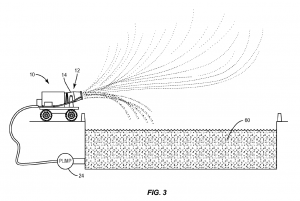 The leachate sprayer, invented by Kelly Houston of Cornelius, can throw the aerosol more than 600 feet, depending on the hose pressure, according to the patent. Ostensibly, the pathogens or PCBs or lead or mercury would land from 16 to 650 feet from the end of the nozzle — onto the surface of the landfill. But there’s no science to back up that assertion. Leachate spraying also presents significant environmental justice concerns. Landfills are disproportionately located in low-income neighborhoods and communities of color. Several UNC researchers, including the late Steve Wing, studied the racial and economic disparities in siting of landfills. In Environmental Health Perspectives they reported their findings: A solid waste facility was 2.8 times more likely to be in a census block group with more than 50 percent minorities than those with less than 10 percent minorities. Landfills were 1.5 times more likely to be in low-wealth communities. And for census block groups that didn’t yet have a landfill as a neighbor, the chance of one being located in their neighborhood was 2.7 times greater in communities where more than half the people were minorities. The bill did survive crossover. After passing the House and the first reading in the Senate, it was referred to the Senate Rules Committee.